Koepon Holding BV and Cooperative Resources International’s (CRI) boards of directors have agreed to merge their businesses. Pending government approval, another final approval will be made by the companies’ boards of directors and delegates from CRI. Should everything go as planned the merger would officially happen by mid-2018. The merger could combine two major bovine genetic providers. CRI owns Genex, while Koepon owns Alta Genetics. Both Koepon and CRI provide herd management and information services to dairy producers with their subsidiaries, Valley Ag Software and AgSource, respectively. A source from Koepon indicated the merger would only impact the parent companies, Koepon and CRI, in the near future, meaning Alta and Genex would remain independent competitors. Koepon is a privately owned by founder Wijnand Pon and is headquartered in Feerwerd, Netherlands. Koepon purchased Alta in 2000. CRI is a farmer-owned cooperative headquartered in Shawano, Wisconsin. The cooperative formed in 1993. This is the second merger or acquisition announcement by major bovine genetic providers this year. 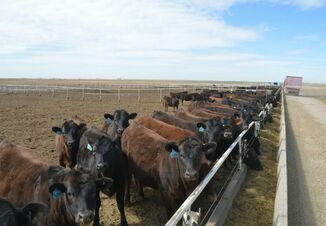 Select Sires acquired Accelerated Genetics after a vote by Accelerated Genetics delegates approved the boards of directors’ move to unite the companies on June 22.